Pharmax Cellular Support - Endogenous Antioxidants & Cofactors - 30. N-acetyl cysteine (NAC) is widely known for its antioxidant potential. 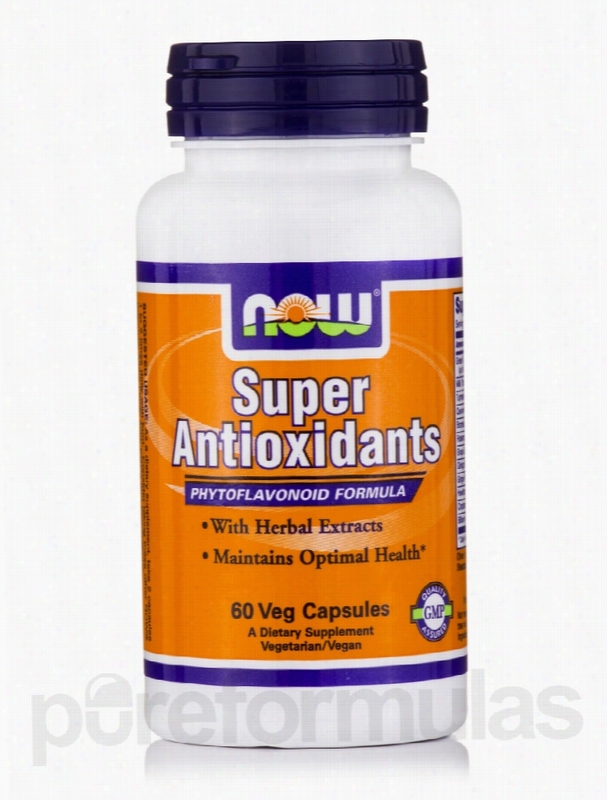 Like other antioxidants&sbquo; it may help protect your cells from free radicals that can cause harm. Since your body converts it into the amino acid cysteine&sbquo; N-acetyl-cysteine plays a role in the production of glutathione (which works to support the immune system and cellular health&sbquo; while promoting tissue recovery after exercise)&sbquo; especially when natural production might decline during the aging process. In addition&sbquo; NAC may lessen mild inflammation. 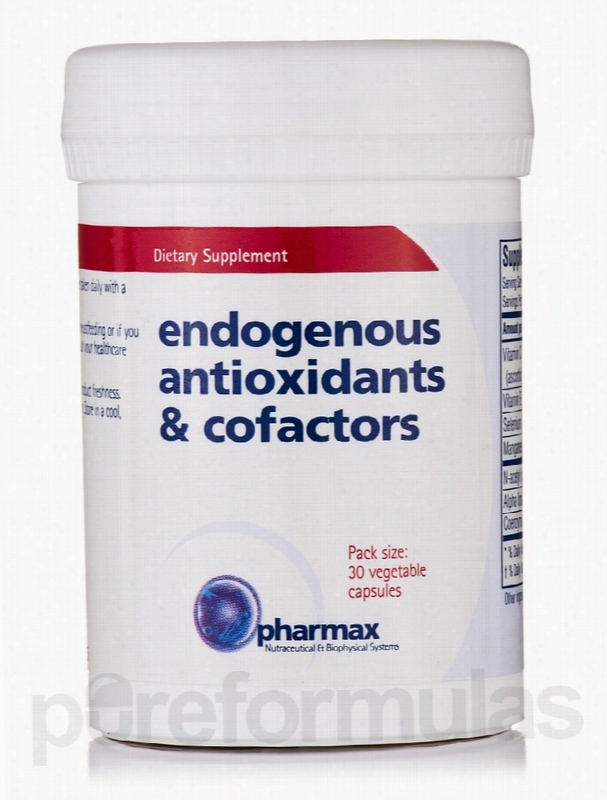 Endogenous Antioxidants &amp; Cofactors by Pharmax is a convenient supplement that provides NAC&sbquo; along with essential antioxidant vitamins like vitamin C and vitamin E. This synergistic formula contains 200 milligrams of N-acetyl cysteine per capsule&sbquo; along with the minerals selenium and manganese. Endogenous Antioxidants &amp; Cofactors also provides CoQ10 and alpha lipoic acid&sbquo; which are also produced by the human body. Take one vegetable capsule of this N-acetyl-cysteine supplement per day with a meal. At the recommended dosage&sbquo; each 30-capsule bottle of Pharmax's Endogenous Antioxidants &amp; Cofactors should last for about one month. These statements have not been evaluated by the Food and Drug Administration (FDA). These Products are not meant to diagnoseÃ¢ÂÂ treat or cure any disease or medical condition. Please consult your doctor before starting any exercise or nutritional supplement program or before using these or any product during pregnancy or if you have a serious medical condition. 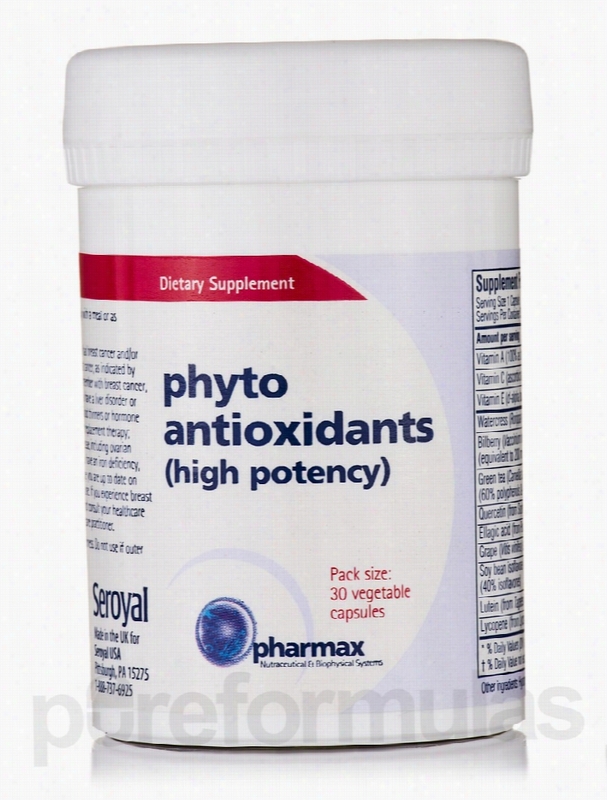 Pharmax Cellular Support - Phyto Antioxidants (high potency) - 30. No matter how carefully you follow a healthy lifestyle&sbquo; you can still run into health problems&sbquo; thanks to trouble making particles called free radicals. These particles wander around your body in search of cells to steal molecules from. The cells that they attack end up being damaged&sbquo; which can eventually cause health problems and make you look older quicker. Although free radicals form naturally in your body&sbquo; exposure to cigarette smoke or pollution may cause their levels to rise. Your body can fight free radicals and stop them from causing damage with the help of antioxidants; these substances are found in many fruits&sbquo; vegetables&sbquo; whole grains&sbquo; and nuts. Another convenient way to boost your antioxidant levels is to take a supplement. Phyto Antioxidants (High Potency) by Pharmax provides you with several sources of antioxidants to help protect your cells from free radicals. This strong supplement contains a combination of nutrients and herbal extracts that may help limit the damage done by free radicals and prevent them from doing additional harm to your cells. This could potentially lower your risk of suffering from the effects of free radical damage. Some of the active ingredients in each vegetarian capsule include: Vitamin C&mdash;an antioxidant that helps your body maintain strong bones and teeth&sbquo; heal wounds&sbquo; and make collagen to form cartilage and other types of soft tissue Green tea extract&mdash;provides powerful antioxidants called polyphenols Quercetin&mdash;an antioxidant that may reduce inflammation Beta-carotene&mdash;converted by your body into the antioxidant vitamin A Bilberry extract&mdash;naturally contains vitamin C and other strong antioxidants One bottle of Pharmax&rsquo;s Phyto Antioxidants contains 30 high-potency vegetarian capsules&sbquo; which should last for about one month at the recommended dosage. Take one capsule a day with a meal&sbquo; unless otherwise directed by your doctor. Pharmax has been on the leading edge for more than 15 years&sbquo; providing supplements backed by research-driven&sbquo; scientific evidence. It prides itself on strict quality control and independent testing of all of its nutraceutical products. Every Pharmax product benefits from innovative manufacturing processes that maximize its effectiveness to its users. These statements have not been evaluated by the Food and Drug Administration (FDA). These products are not meant to diagnoseÃ¢ÂÂ treat or cure any disease or medical condition. Please consult your doctor before starting any exercise or nutritional supplement program or before using these or any product during pregnancy or if you have a serious medical condition. 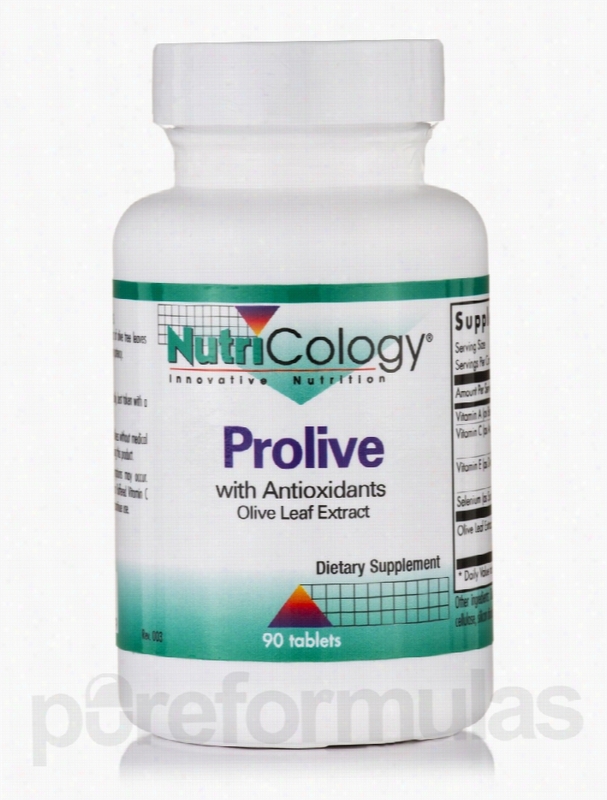 NutriCology Cellular Support - Prolive with Antioxidants (Olive Leaf. The Prolive with Antioxidants (Olive Leaf Extract) 90 Tablets from NutriCology&reg; may help with enhancing your overall immune system and Cardiovascular function. The primary ingredient of these tablets is olive leaf extract with minimum 18% Oleuropein. Olive leaf extract is filled with plenty of antioxidants and immune-stimulating properties which might be quite beneficial as a dietary supplement. Oleuropein might help significantly in lowering blood pressure and guarding against oxidative damage. Some reports reveal that olive leaf extract has an antioxidant capacity which is 400% higher than that of Vitamin C. This attribute may make this product from NutriCology&reg; a helpful supplement to maintain ideal heart function and a healthy cardiovascular system. Based on several studies&sbquo; olive leaf extract is considered effective in fighting disease-causing microbes which may make this extract valuable for your immune system. It boosts the immune system by limiting viral infection. Many researchers believe that olive leaf extracts could inactivate viruses by directly penetrating the infected cells and preventing viral replication. Oleuropein may also offer the capability to guard your nervous system against several age-related diseases by suppressing inflammation. Some studies have also suggested that this extract may help reduce blood sugar levels. The Prolive with Antioxidants (Olive Leaf Extract) 90 Tablets from NutriCology&reg; might be your ideal choice for enhancing your immune system. These statements have not been evaluated by the Food and Drug Administration (FDA). These products are not meant to diagnoseÃ¢ÂÂ treat or cure any disease or medical condition. Please consult your doctor before starting any exercise or nutritional supplement program or before using these or any product during pregnancy or if you have a serious medical condition. 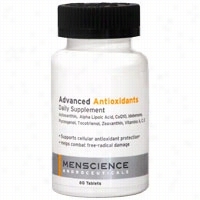 Menscience Advanced Antioxidants Daily Supplement 60 ct.
Menscience's Advanced Antioxidants Daily Supplement helps support the Body's defense against free radicals that can damage cells and accelerate the aging process. Scientifically formulated for men with a proprietary combination of the most advanced and effective antioxidants to strengthen the body's cellular antioxidant and cellular repair processes. *Benefits:Supports the body's important antioxidant processes which are critical to maintaining optimal health levels. *Helps combat negative effects of free-radicals that damage the cells and accelerate the aging process. ** These statements have not been evaluated by the Food and Drug Administration. This product is not intended to diagnose, treat, cure or prevent any disease.Directions For Use:Take one or two tablets daily. Keep out of reach of children. NOW Cellular Support - Super Antioxidants - 120 Vegetarian Capsules. Phytoflavonoid Formula!This comprehensive blend of potent herb and fruit extracts has been designed to provide a broad spectrum of flavonoids with scientifically demonstrated Antioxidant activity. These herbs and fruits have been renowned throughout the world for centuries for their ability to maintain optimal well being. These statements have not been evaluated by the Food and Drug Administration (FDA). These products are not meant to diagnoseÃ¢ÂÂ treat or cure any disease or medical condition. Please consult your doctor before starting any exercise or nutritional supplement program or before using these or any product during pregnancy or if you have a serious medical condition. NOW Cellular Support - Super Antioxidants - 60 Vegetarian Capsules. Maintains Optimal Health!This comprehensive blend of potent herb and fruit extracts has been designed to provide a broad spectrum of flavanoids with scientifically demonstrated antioxidant activity and effectiveness. These herbs and fruits have been renowned throughout the world for centuries for their ability to maintain optimal well being. These statements have not been evaluated by the Food and Drug Administration (FDA). These products are not meant to diagnoseÃ¢ÂÂ treat or cure any disease or medical condition. Please consult your doctor before starting any exercise or nutritional supplement program or before using these or any product during pregnancy or if you have a serious medical condition. 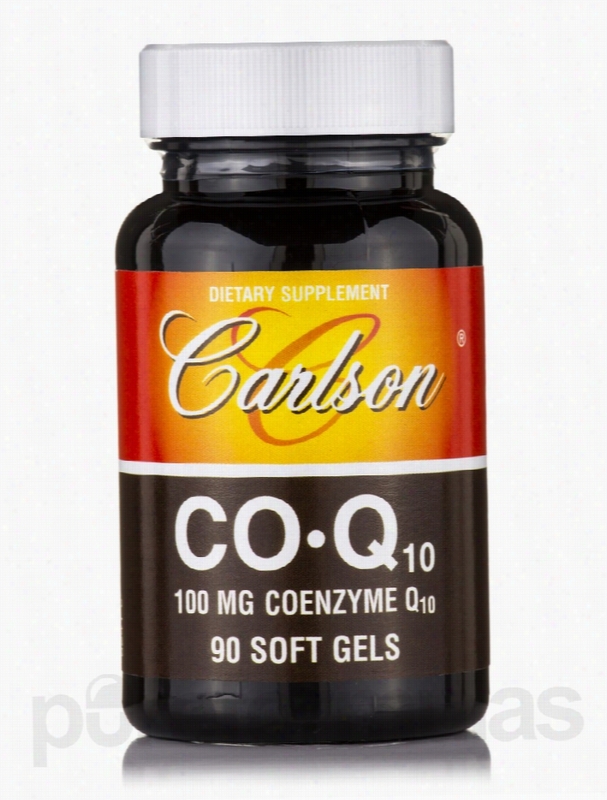 Carlson Labs Antioxidants - CoQ10 100 mg - 90 Soft Gels. Co-Enzyme Q10 is a substance all cells need to live. It is also called &quot;ubiquinone&sbquo;&quot; which is very fitting because co-Q10 is literally ubiquitous (everywhere) in your body&sbquo; as well as all living systems. It is one of the vital keys to the process that produces most of your cellular energy. These statements have not been evaluated by the Food and Drug Administration (FDA). These products are not meant to diagnoseÃ¢ÂÂ treat or cure any disease or medical condition. Please consult your doctor before starting any exercise or Nutritional supplement program or before using these or any product during pregnancy or if you have a serious medical condition. 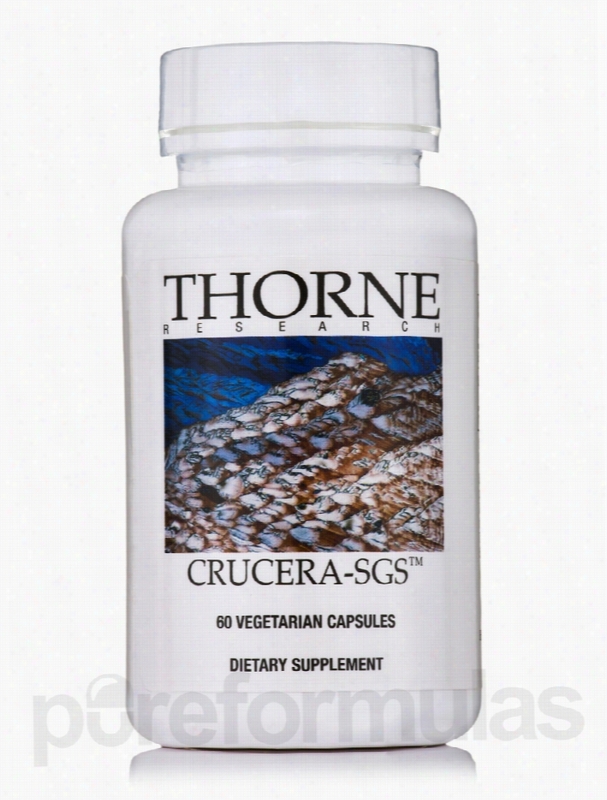 Thorne Research Cellular Support - Crucera-SGS - 60 Vegetarian. Your body&rsquo;s cells need antioxidants&sbquo; molecules that are responsible for preventing oxidation of other molecules in your body. Oxidation is a chemical reaction that naturally occurs when oxygen and cells react&sbquo; causing the cells to die. As cells die&sbquo; your body usually creates new ones; however&sbquo; sometimes the cells change instead&sbquo; causing potentially harmful free radicals to develop. Free radicals can result in damage or death to healthy cells and tissues in your body. Antioxidants work to neutralize these free radicals&sbquo; reducing the amount of harm they can cause. Your body produces some antioxidants itself&sbquo; while you can get the rest from your diet or supplements. Foods such as spinach&sbquo; tea&sbquo; vanilla&sbquo; and raisins naturally contain antioxidants. Unfortunately&sbquo; cooking may destroy some of the antioxidants in these foods. You may have an antioxidant deficiency&sbquo; which can be caused by poor absorption of nutrients&sbquo; abnormal metabolism&sbquo; and excessively rapid release of waste products from your body. Taking supplements can help your body obtain the amount of antioxidants it needs to stay healthy. Thorne Research&rsquo;s Crucera-SGS contains substances derived from broccoli that increase the quantity of antioxidants in your body. This Vegetarian supplement also may encourage a healthy digestive system&sbquo; strong vision&sbquo; and healthy joints while providing protection from harmful toxins. The main ingredients contained in each capsule of Crucera-SGS include: Sulforaphane glucosinolate (SGS)&mdash;a natural antioxidant obtained from the sprouts and seeds of certain types of broccoli Hypromellose&mdash;an element that may promote improved sight Each bottle of Crucera-SGS by Thorne Research provides 60 vegetarian capsules&sbquo; which will last you for up to one month if you take the recommended dosage of two capsules daily. Thorne Research strives to provide pure&sbquo; high-quality supplements to people looking to enhance their health and well-being. Its products are commonly used in prestigious research studies&sbquo; and are recommended by many doctors and health care practitioners. The company always goes the extra mile to ensure that Thorne Research dietary supplements are safe and effective for immune-compromised&sbquo; allergic&sbquo; and chemically sensitive patients. These statements have not been evaluated by the Food and Drug Administration (FDA). These products are not meant to diagnoseÃ¢ÂÂ treat or cure any disease or medical condition. Please consult your doctor before starting any exercise or nutritional supplement program or before using these or any product during pregnancy or if you have a serious medical condition. Pure Encapsulations Cellular Support - UltraNutrient - 180 Capsules. Unfortunately, PureFormulas is not allowed to sell/ship this brand to international destinations. Your Body is constantly under attack from bacteria&sbquo; viruses&sbquo; toxins&sbquo; and parasites. These contaminants produce free radicals (molecules) that try to destroy your cells. Fortunately&sbquo; your immune system fights off most of them; it constantly monitors your body for any harmful invaders&sbquo; and it sends T-cells to destroy any it finds. Sometimes&sbquo; there are times when free radicals manage to break through those defenses. When this happens&sbquo; you may become ill immediately. On the other hand&sbquo; it may take several years for free radical damage to show up in your cardiovascular system or liver. Antioxidants work to neutralize free radicals&sbquo; and can help your immune system rid your body of these dangerous molecules. They not only work to prevent free radical damage to your cells&sbquo; but work to repair whatever damage has already been done. You can get enough antioxidants in your diet if you eat plenty of natural produce&sbquo; preferably five to eight servings of fruits and vegetables daily. Unfortunately&sbquo; it can be difficult to get all the antioxidants you need through food&sbquo; and you may need to take a supplement. 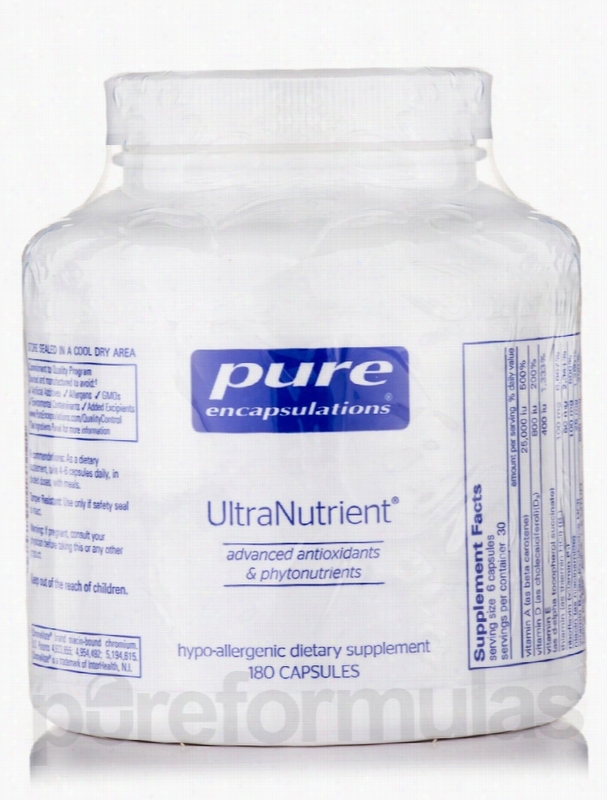 Pure Encapsulations&rsquo; Ultra Nutrient is a convenient&sbquo; high-potency supplement that combines antioxidants with all the vitamins and minerals your body needs to fight free radicals. Some of the ingredients contained in each vegetable capsule include: Vitamin E&sbquo; which may promote cardiovascular health Vitamin A&sbquo; an essential nutrient for your eyes and skin Alpha lipoic acid&sbquo; an antioxidant that may prevent and treat chronic degenerative diseases&sbquo; while fighting the potential aging effects of free radical damage Calcium&sbquo; a mineral necessary for strong bones and teeth Folate&sbquo; a B vitamin that may help prevent cell damage from free radicals The recommended dosage of Ultra Nutrient by Pure Encapsulations is four to six capsules per day&sbquo; in divided doses with meals. 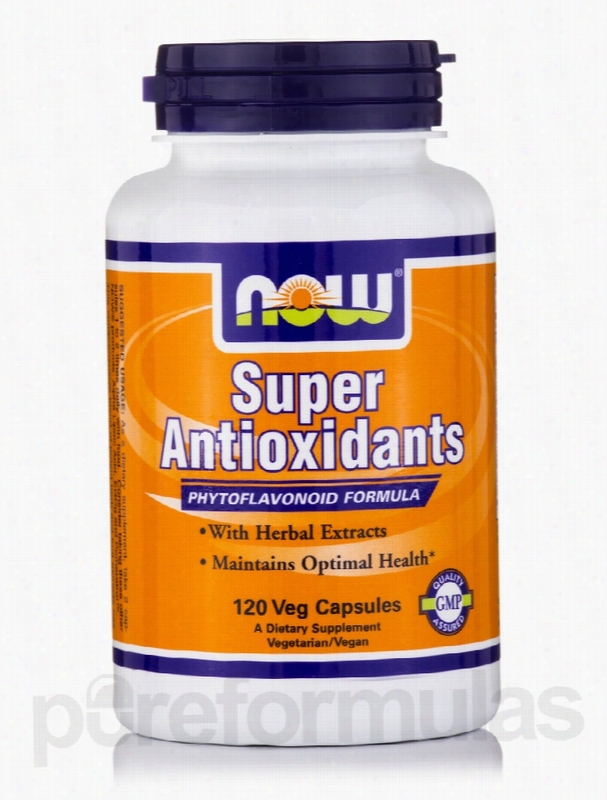 One bottle contains 180 vegetable capsules&sbquo; which should last for up to 45 days. Pure Encapsulations seeks to formulate and manufacture high-quality&sbquo; hypo-allergenic dietary supplements. Quality control during the formulation and manufacturing process is paramount. All Pure Encapsulations products are made with the most bioavailable ingredients possible. These statements have not been evaluated by the Food and Drug Administration (FDA). These products are not meant to diagnoseÃ¢ÂÂ treat or cure any disease or medical condition. Please consult your doctor before starting any exercise or nutritional supplement program or before using these or any product during pregnancy or if you have a serious medical condition. 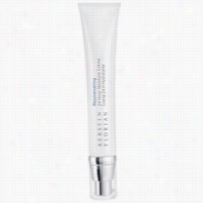 Kerstin Florian Rejuvenating 24Hour Moisture Creme with Antioxidants 1.7 oz. Formulated with high performance botanical antioxidants, this moisturizer keeps the skin moist and youthful looking as it softens the visible signs of aging. Easily absorbed, this Creme protects the skin from harmful environmental elements.Benefits:Botanical antioxidants protect skin from free radical damage.Evening Primrose and Borage Seed extracts helps skin maintain moisture.Helps maintain moisture in the skin even in dry climates.